It is now our second time having an IT professional who loves food a lot and also a blogger. 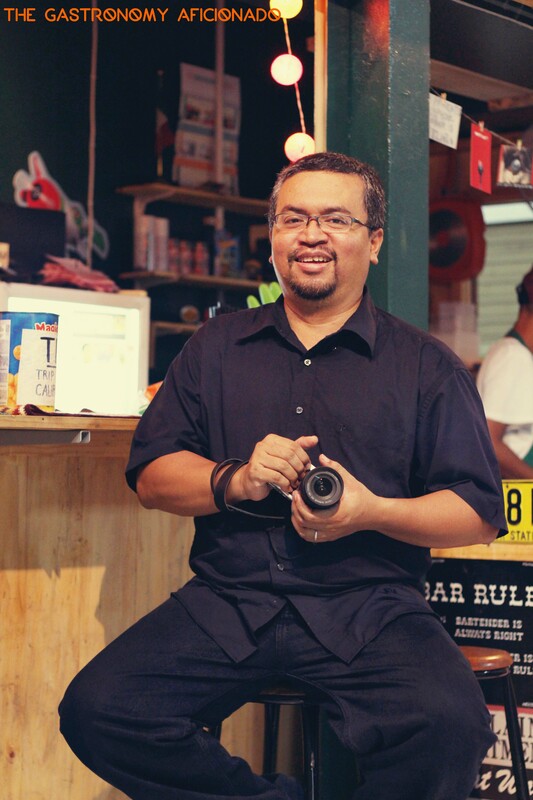 Let us meet Bayu Amus and his blog, Epicurina. There was a time when people were not yet familiar with blogging and those were the days when social media was hardly a term that we knew well, let alone to utilize it to express ourselves. Back then, mailing list groupies led the way to contemporary citizen journalism. Moving out from the familiar taste of Bandung street food to Jakarta was a culture shock for Bayu Amus. He and fellow other Bandung migrants (including myself years after he first moved to Jakarta) were under the impression that our hometown street food is better than in the capital J. Therefore as a true foodie, he decided to gather around with other expatriates from Bandung to discuss on where to eat, about the taste, the price, and other basic aspects that we like to talk about food. Until one day he decided to start a mailing list groupie that goes with the name Epicurina. During its zenith, Epicurina reached as many as 300 followers from many professions and did more than just discussion. They also held trips outside of town with the sole purpose: to eat! However, as the era of mailing list wanes, Bayu decided to express himself more rewardingly by starting his own blog with the same name. The reason was also driven by the facts that neighboring bloggers from Singapore and Malaysia were gaining the high ground on promoting rendang on Google pages. “It’s no matter where rendang came from originally for many people especially when they found out that the early pages of Google search indicate that Malaysia has the upper hand on promoting it. That’s why I felt the urge to include Indonesia as well on that list and that can only came true if I start to seriously blogging about our food”, he says with conviction. “Not only that, I’d like to show the world also that our country is a culinary destination as well. From time to time, our international restaurants reach the top chart in awards such as from Miele Guide for example. That clearly shows something”, Bayu then continues. Although he’s now exposed to the rich culinary scene in Bali while working there as a user experience consultant for an international IT company, he cannot hide the fact that his Sundanese blood requires him to enjoy the beloved nasi tutug oncom with dendeng kere. “That’s what I always like to have whenever I came to visit my family in Garut. But if you ask me on what to pick from the street food, I’d love to have mie ayam from time to time”, confesses Bayu. Nice writing bro! Very enjoyable reading, and thanks for the interview!